Students of antiquity often see ancient Turkey as a bewildering array of cultural complexes. 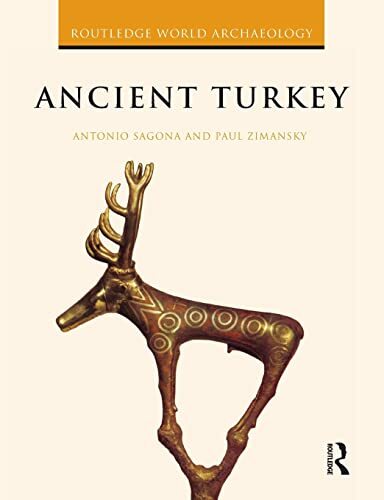 This title brings together in a coherent account the diverse and often fragmented evidence, both archaeological and textual, that forms the basis of our knowledge of the development of Anatolia from the earliest arrivals to the end of the Iron Age. Students of antiquity often see ancient Turkey as a bewildering array of cultural complexes. Ancient Turkey brings together in a coherent account the diverse and often fragmented evidence, both archaeological and textual, that forms the basis of our knowledge of the development of Anatolia from the earliest arrivals to the end of the Iron Age. Much new material has recently been excavated and unlike Greece, Mesopotamia, and its other neighbours, Turkey has been poorly served in terms of comprehensive, up-to-date and accessible discussions of its ancient past. Ancient Turkey is a much needed resource for students and scholars, providing an up-to-date account of the widespread and extensive archaeological activity in Turkey. Covering the entire span before the Classical period, fully illustrated with over 160 images and written in lively prose, this text will be enjoyed by anyone interested in the archaeology and early history of Turkey and the ancient Near East.